MediChoice's Dual-Scale Thermometers measure temperature in both Fahrenheit and Celsius: 89.6F - 109.4F and 32.0C - 43.9C with microtechnology that ensures precision measurement within 0.2F / 0.1C. The beeper indicates when thermometer is ready for use and when temperature reading is available and memory stores the most recent measured temperature. Single patient use sheaths provide added injection control and cross contamination protection. The thermometers feature automatic shut-off, liquid crystal display, are mercury free and waterproof. Operating instructions included. MediChoice is Owens & Minor's brand of medical-surgical products and durable medical equipment that is expanding to meet the changing needs of healthcare. 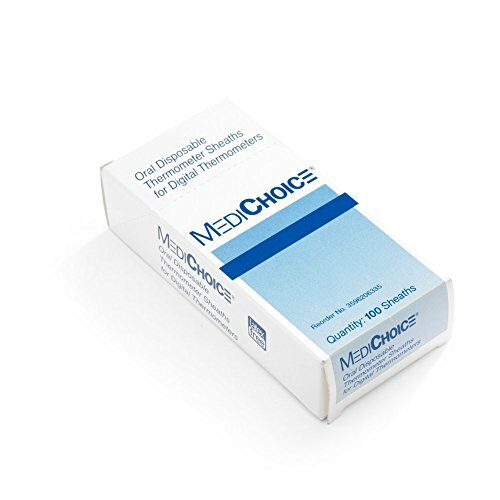 MediChoice, your choice for quality, value and unmatched service. Search MediChoice for additional product offerings.